Enjoy the top 3 famous quotes, sayings and quotations by Winifred Kirkland. Every woman must admit, and every man with as much sense as a woman, that it's very hard to make a home for any man if he's always in it. 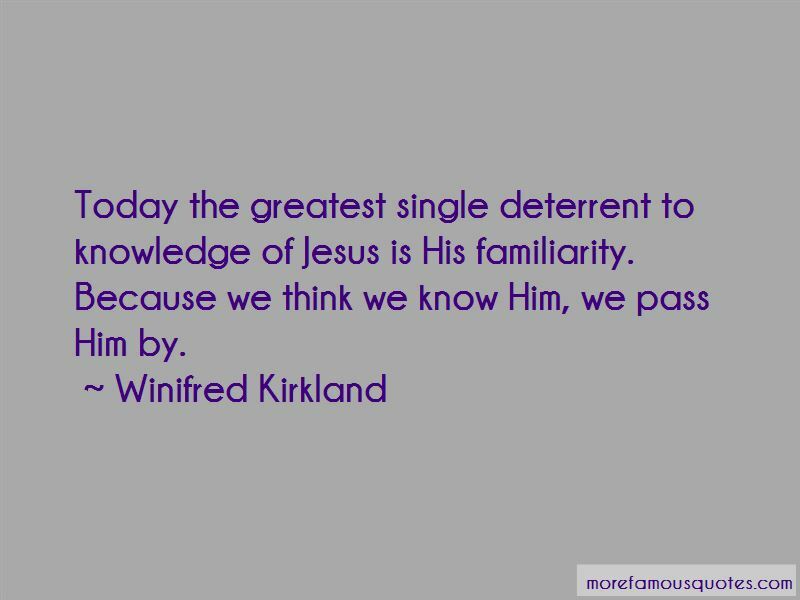 Today the greatest single deterrent to knowledge of Jesus is His familiarity. Because we think we know Him, we pass Him by. 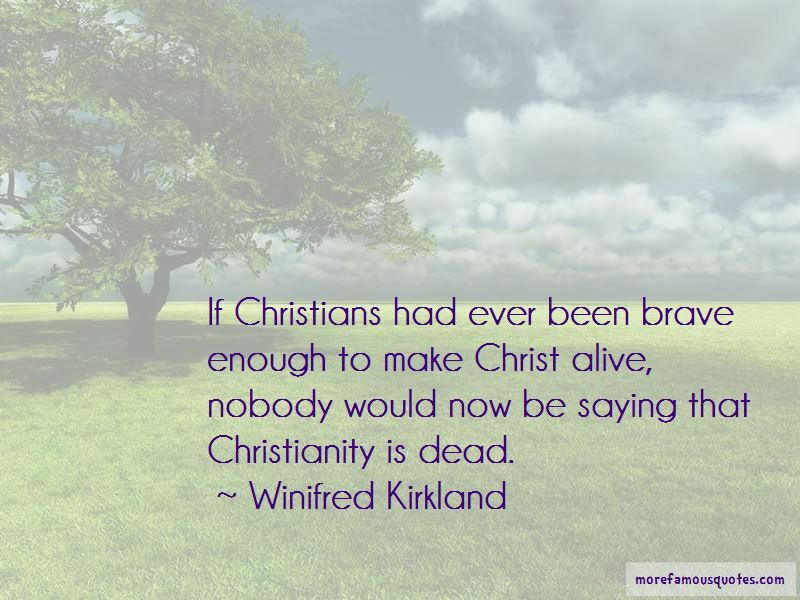 Want to see more pictures of Winifred Kirkland quotes? 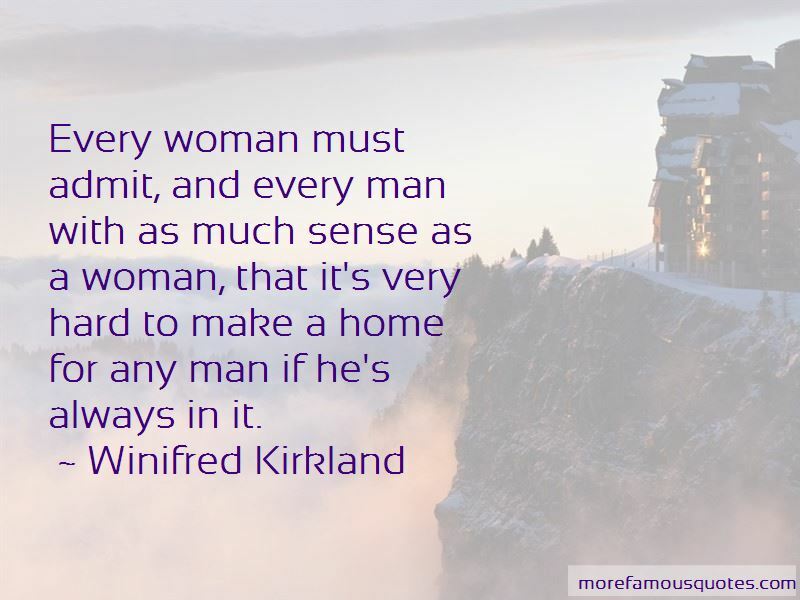 Click on image of Winifred Kirkland quotes to view full size.